Hulu subscribers are about to lose an acknowledgment of the extra fee they pay to watch the same three ads with every episode of South Park: Variety reports that the streaming platform is dropping the “Plus” from the name of its paid service. Customers were notified that they were no longer Plus via email this morning, a grand pronouncement indicating that the star-bellied Sneetches of online video no longer have a mathematical symbol to hold over the heads of the lowly masses who must grub The Mindy Project five episodes at a time. 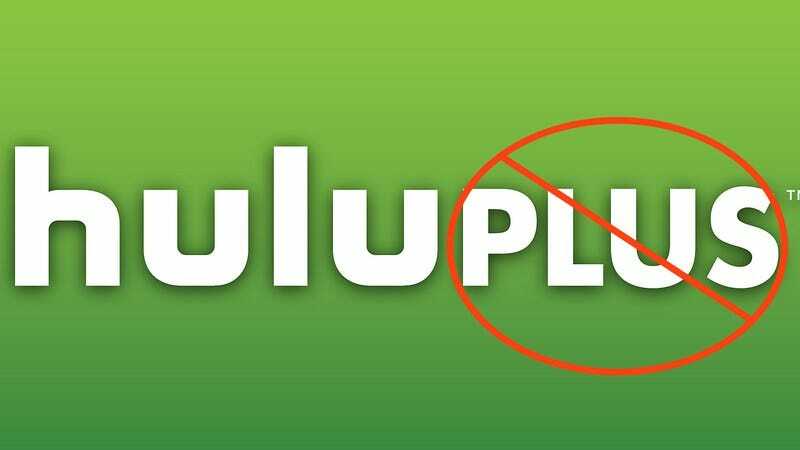 The move comes eight days before Hulu makes a major addition to its Plus-minus lineup: Seinfeld, a program that would’ve had a field day with this type of semantic tomfoolery. “How can you say it’s a plus without saying it’s Plus? It’s like taking the ‘super’ out of ‘Superman’! You can’t just call him ‘Man,’ because he’s better at being a man than any other man. In fact, you might say he’s ‘super’ at it.” And then Jerry blames the whole thing on over-sensitive college students or something—just imagen the possibilities.